We are delighted to welcome to Key Control Services our new apprentice, Zoe Darcy. 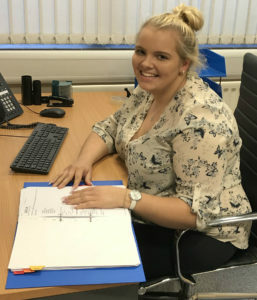 Zoe, 21, joined us recently as an administrative assistant under the Government’s new National Apprenticeship Service. She will carry out a wide range of administrative duties for us as she undertakes a NVQ Level II in Business Administration at a local college one day a week over the next two years.